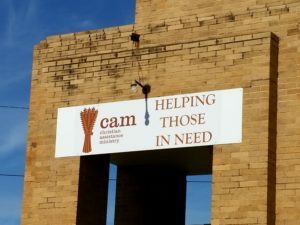 Volunteers are the heart of CAM! Our volunteer program is run on a weekly basis by over 250 of our wonderful volunteers. To volunteer, fill out one of these forms. Individual Volunteer – Individuals who are called to share their harvest through serving their community. Summer Internship – Teens ages 15+ who are interested in making a difference this summer in the community are highly needed. Court Appointed Service – Individuals who’ve been court appointed to volunteer or are on probation are welcome. Acting, doing, serving, and loving others can be an incredible experience; we want CAM to be that for people in our community. CAM has opportunities for groups of all sizes! We invite families, churches, schools, local businesses and other organizations to join us for one of our CAMpassion Days! You can make a difference in someone’s life by engaging in one of these CAMpassion Days. These, usually 1-time volunteer opportunities, are available multiple Saturdays a month all year long. If one of these scheduled days does not work for you or your group, you may check with us to coordinate your own specific CAMpassion Day. 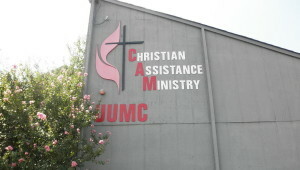 Please contact our volunteer coordinator, Emily Kirtner, at ekirtner@cam-sa.org or 210-223-4099.